Have you already started making your list of things you’re going to improve in 2012? Etc., etc., etc…well, best wishes! While you are making a list we encourage you to make some resolutions for your home as well. Now don’t freak out, it’s nothing too overwhelming. Get rid of clutter! Commit to going through each room in your home to clear out items that you don’t use or need. Donate these items to charity. Make your home safe! Take time now to test for radon gas. Install carbon monoxide monitors on every bedroom floor. Test fire alarms and remember to replace batteries regularly. Shrink bills and your carbon footprint! Turn off lights when you leave a room. Only run the washer if you have a full load of laundry. Consider drying some clothes on a line instead of in the dryer. Turn off your air conditioning when you leave your house. Dial down your furnace to 55 degrees at night. Install compact fluorescent lighting and low flow showerheads. Water your yard less. Work out a plan to keep your house clean! Each day dishes should go into the dishwasher. Hang up clean clothes each night as well. Put dirty clothes straight into the hamper. Weekly, enlist your family to help you. Have one person vacuum, dust and make the beds. Have another person clean all the bathrooms. Then team up to clean the kitchen and take out all the trash. Get your home ready for entertaining! If one of your personal resolutions is to spend more time with friends and family then do something in your home to make it more “inviting”. Rearrange your furniture into conversational groups. 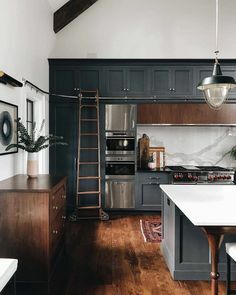 Update a room with a new coat of paint. Add new runners, throw pillows or even plants for a fresh new look. See, it’s not too overwhelming is it? These are resolutions that you can actually make AND easily keep. Cheers! Soothing Escape Berber, Winter Grove Textured Plush and Green Slate Cut and Loop. These are just a few carpets that are featured in Century Tile’s product catalog. If you are thinking about replacing your carpet or adding carpet to your home be sure to check the website to begin your search for your perfect floor covering. But before you buy any carpet please be sure that you are choosing the best type for your situation. Here is a quick guide to help you easily find the type of carpet you should install. If your style is casual, Textured carpet is your best bet. This is a very popular cut pile carpet that has alternating twists of yarn creating a two-tone appearance. Textured carpet does a great job of hiding footprints and vacuum marks. They are ideal for today’s active families and are available in a broad range of prices. For high traffic areas area, a frieze carpet may be the way to go. This cut pile style has a very high twist level, meaning each strand of yarn is twisted so tightly that they actually curl over at the end. This creates a textured surface with a knobby appearance, and a carpet of high durability. These carpets are great performers in high-traffic areas and can go anywhere in your home. They also hide footprints and are available in various pile heights. If you have lots of activity in your home or area that you are re-carpeting, choose a Looped carpet. This style of carpet is often referred to as a Berber. Berbers are really big bulky yarns. Looped carpets are very durable and are ideal for casual, active family rooms. they come in solid colors, Berber fleck and patterns. This carpet hides traffic patterns well but be advised that this style may make seams more apparent. Still, this is a great all-purpose carpet. If you need a carpet that is patterned try a Cut & Loop. Cut & Loop is a combination of cut and looped yarns that create pattern effects by the variation in surface textures. Like looped styles, these carpets are low profile and thus perform well, however, sometimes their seams are visible. This style can be used in casual and traditional rooms and are available in many patterns including fun geometrics and formal botanicals. Their distinctive carved appearance and multiple colors do a good job of hiding stains and standing up to traffic. For a more formal, beautiful feeling you may want to choose a Saxony carpet. This style has a smooth, soft, velvet plush look. Each yarn has a uniform twist and finish, making this carpet the perfect solution for a master bedroom, dining room or a formal living room. This style is not a good choice for high traffic areas or rooms with active kids as it shows footprints and vacuum marks. Another carpet that looks beautiful but is not suited for high traffic areas is Cable. Cable style carpet is constructed of thicker and typically longer yarn. The style is very comfortable underfoot and is beautiful in a bedroom or living room. Keep in mind that this style is better suited for rooms without a lot of activity as it can matte and crush with heavy foot traffic. So there you have it, all the types of carpet to choose from depending on your lifestyle. Once you have decided on which kind of carpet to use please visit us for more information and make sure to check out our product catalog. Snow-It’s That Time of Year! It’s that time of year. Each morning when you wake up it’s fun to peek outside and see if Mother Nature blessed you with beautiful, sparkly white snow. And though it is gorgeous from inside the house, it also means that you need to get outside and shovel the driveway. Dress in layers before you go outside. As you get warm you can remove layers. If you become too cold go inside and warm up before continuing. Extremely cold temperatures can be very dangerous. Be sure that you have a good shovel. Look for one with an ergonomic handle. If you are not in good shape pay a neighbor child to shovel the walks for you. You don’t want to risk an injury or jeopardize your health. Remove the snow from the driveways and walkways. Remember to shovel around your mailbox and garbage cans as well. Work towards the areas where you are depositing the snow so you don’t have to toss it very far. Chip away any ice you find under the snow and remove it with a shovel. Spread rock salt over the cleared area and sand any other spots that are still icy. For the record, you burn 408 calories an hour assuming a body weight of 150 lbs. So, not only do you now have clean and safe walkways but you’ve also gotten in your cardio for the day. You deserve a cup of hot chocolate and a relaxing remainder of the day in front of your fireplace. Hopefully your Christmas shopping is done, cards and Christmas letters mailed and presents wrapped. If you are fortunate enough to be the one hosting a holiday dinner this season we have a few last minute ideas for details that will delight your guests. Dress up candles with greenery. Mini boxes filled with chocolates and decorated with scrapbooking supplies are a nice favor for guests to take home at the end of the evening. Create a personalized place setting for each guest. This pinecone theme is easily accomplished with a few craft supplies. Make your own party poppers. Fill them with wrapped chocolates, tiny cookies or gift cards. Dress up your chair backs with paper cones filled with flowers. Adorn your buffet table with bead garland and greens. Use safety pins to hold the garland in place. With just a little extra effort you can make this year a holiday to remember. Sometimes it’s just inevitable. You’ve decorated your home beautifully with candles for the holidays and now you’ve discovered one or two wax spots on your carpet. What should you do now? Relax; it’s not a disaster. Candle wax can be removed if you follow these simple steps. Pick as much wax as you can off the carpet. Once you can’t get anymore off chill the wax spot with some ice. (Put the ice in a plastic bag first). This will help harden the wax and will make it more likely for you to pick off a little bit more. Get a paper bag. Lay it over the wax spot. Use a blow dryer or an iron on a low setting to melt the wax. Be careful the blow dyer/iron doesn’t get too hot, as you don’t want to burn the paper or melt any fibers in your carpet. As the wax melts it will be absorbed by the paper. You may have to change paper several times depending on how big the spot is. Apply rubbing alcohol to any spots that are stained by the dye in the wax. Be careful not to use too much as you don’t want to damage your carpet either. Gently blot the stain with a white cloth until no more dye remains and the towel comes away clean. Rinse the area with warm water. Immediately dry the area with the blow dryer. Also use fans if you can to help speed up the process. If you are unable to remove the dye spot by yourself, please call a professional as soon as possible. All your guests have RSVP’d. You have been through all your December Bon Appétit magazines to get recipes for the perfect Christmas feast. Your local wine merchant has paired wine for each course. It looks as though Martha helped decorate your home. The last thing on your to do list is to set the table. Check out these great ideas for a stylish tabletop. Glass Christmas ornaments in containers make quite a statement. Use a patterned tablecloth with the same colors. Gold, gold and more gold! Keep all other colors neutral and you will create a most elegant setting. 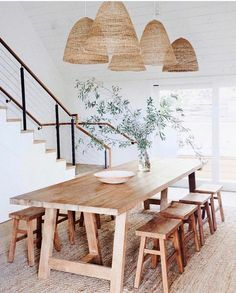 Don’t forget your chandelier can be your centerpiece. Look at the drama that was created in this room. Add a pop of color that isn’t traditional. See how this use of pink and unusual place settings makes this a very contemporary table. It’s easy to set a beautiful table that will complement your wonderful hospitality. Happy Holidays! You know how you feel when you walk into some people’s kitchens – they seem perfect, like they hired a pricy designer. How is it possible to spiff up your cooking area? It’s easy and we can help you take your kitchen from ordinary to spectacular. While many of us may have the time and money to do an entire kitchen remodel, many of us do not. Adding a pop of color to your kitchen is a good way to begin. The easiest way to do this is to paint your walls or to add a tile backsplash. When choosing a color for your backsplash or your walls get inspiration from your dishes, a favorite area rug or natural items like plants or flowers. 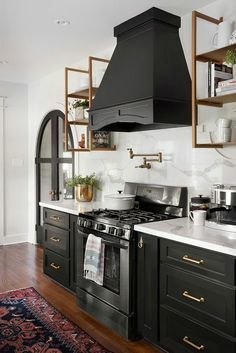 The kitchen backsplash may be a strange thing to start with but it is the smallest and easiest way to customize a space. It’s also the easiest thing to undo if you get tired of living with the color you choose. Please be bold, don’t be boring. Make your kitchen an outlet of your expression and personality. When planning your backsplash you should also think about making it practical and efficient. Incorporate hooks and rods for hanging utensils, herbs, towels and even recipes. One of the newer trends for a kitchen backsplash is to take the backsplash tile up the entire wall. If you have an all white kitchen the color of the tile you choose can have a very dramatic impact. If you have an all-wood kitchen try incorporating a metallic backsplash. The shine of metallic adds interest to the rich wood tones of cabinets. These are just a few examples of how easy it is to change up your kitchen. Visit us so we can help you determine the best way to take your kitchen from ordinary to fabulous.